Carolyn Joyce Brenner Hudlet, 85, a woman who loved the Lord and served Him, went home to be with Her Lord and Savior January 2, 2018, after a sudden illness. She was born July 15, 1932, to Ralph and Velma Brenner in Buffalo, NY where she lived until she married Herbert Hudlet on November 25, 1953. She graduated from nursing school in Buffalo, and applied her skills with a loving heart in towns from Longview, TX to Idaho Falls and Boise, ID and then in Coeur d’Alene, ID where the family moved to in 1977. She retired from Panhandle Health District in January 1995. Carolyn enjoyed the lakes of northern Idaho and would carry her swimsuit for that chance to go for a swim. She loved dolphins and was given a birthday trip of a lifetime to Hawaii in 2011 where she was able to swim with the dolphins. She learned to slalom water ski at the age of 59 and continued to do so until her 81st birthday when her water skiing adventure ended with a partial finger amputation. She continued to enjoy an occasional tube ride, and loved watching the grandchildren enjoy water sports. 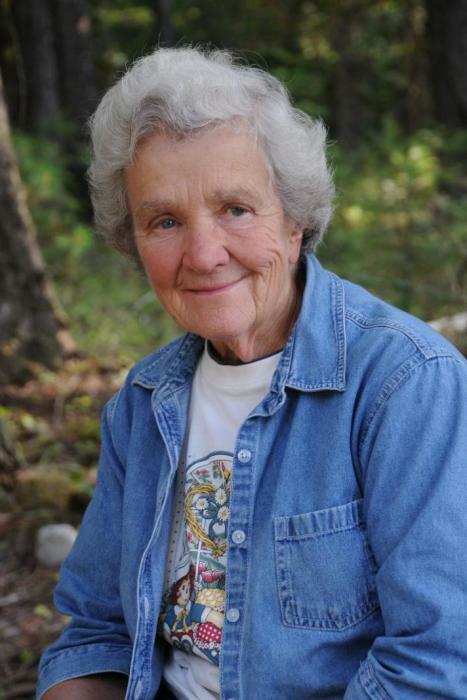 Moving to Montana in 1999, Carolyn and Herb helped to incorporate and begin Majestic View Ministry, a Family Camp and Conference Center near Bull Lake outside Troy, MT, where she worked with everything from construction to cleaning to grounds work, but was best known for doing dishes and desserts, and was known as Grandma Hudlet to all who came. She truly had a servant’s heart and loved to do the behind scenes things that needed to be done. She attended as many children, grand-children, great- grand children, and great-great-grandchild functions as she could. She loved cheering and clapping for them at ballgames, swim meets, concerts, plays, graduations, and anything else they were involved in. She had an open heart for all she met. Her home became ‘Hudlet Hotel’ as it was always open to visitors and short term residents. She volunteered her nursing skills to families with special needs children. The past few years she has enjoyed visiting patients at Libby Care Center. She didn’t like it when illness or bad roads kept her from her regular Thursday time with people she cared about very much. Many will remember her as the water-skiing great-grandma; the short lady who was often out working in her yard; the woman who loved the little things in life; the one who could laugh at herself and taught others to do the same; and who wrote many cards and letters of encouragement.